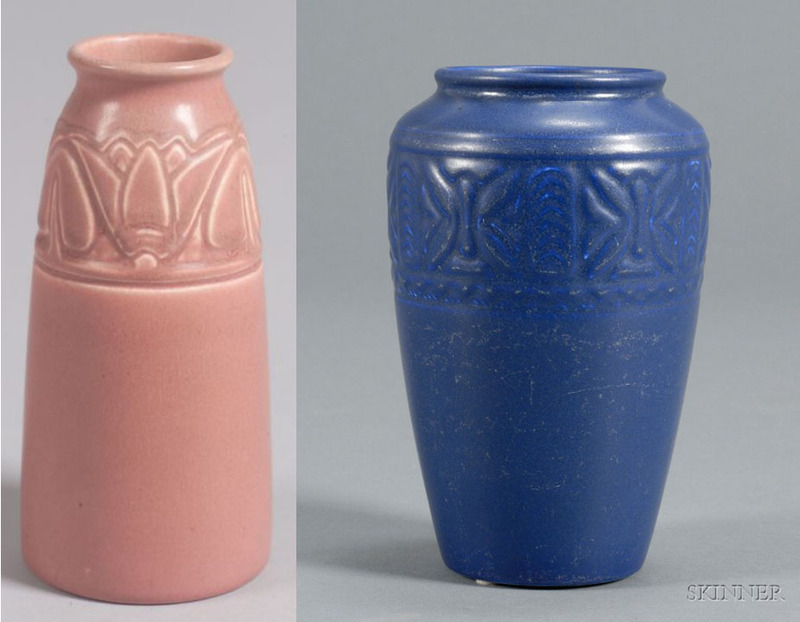 I’ve already mentioned that Cincinnati is known for being the home of Rookwood Pottery. 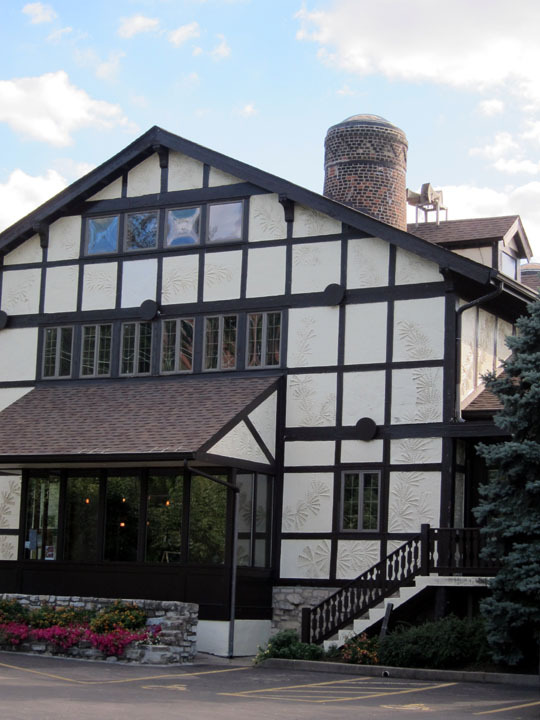 While Rookwood pottery today is produced in a modern facility, the original factory is still available for visits. 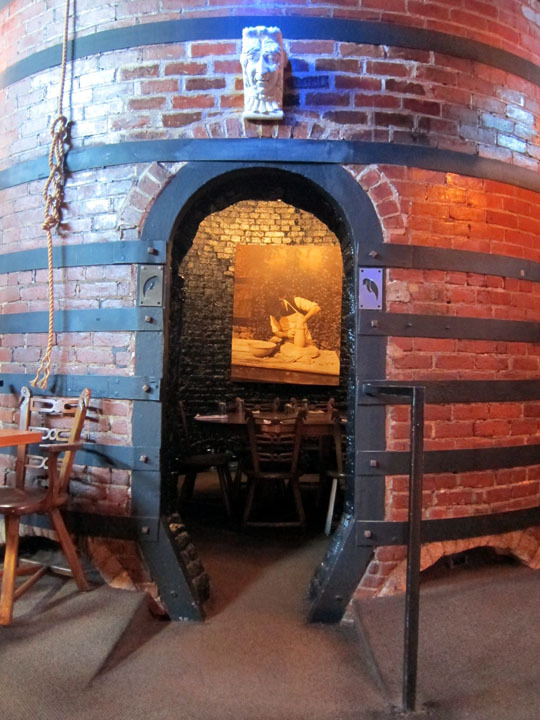 The only catch is that the plant responsible for classic American Arts & Crafts design is now a restaurant and bar which gives you the rare opportunity to eat in a kiln! 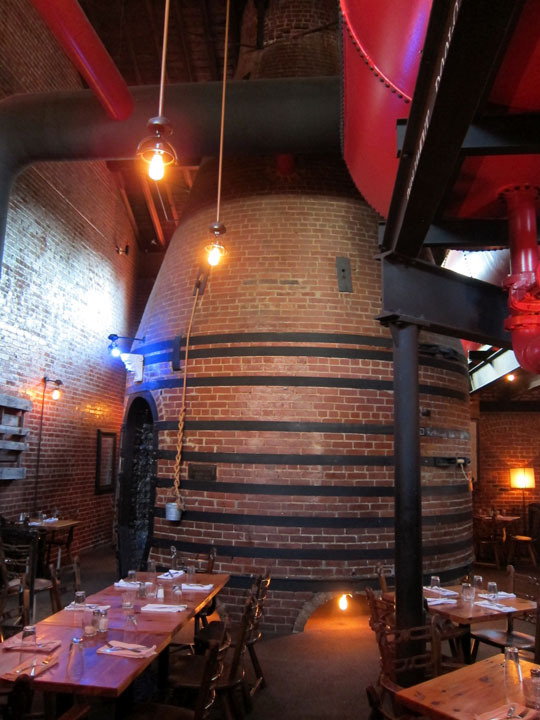 A kiln in the dining room of the Rookwood Bar & Restaurant. Rookwood Pottery began as a hobby. Wealthy Maria Longworth Nichols Storer painted China in her own home and began exhibiting it publicly. She won numerous American awards and ultimately, at the height of her craft, received the Grand Prix at the 1900 Paris Universal Exposition. As she became more serious about painting, her father bought her an old school house to use as a studio. Eventually she want to produce her own pottery to paint rather than continuing to use purchased ceramics. Thus the Rookwood Pottery Factory was built for this purpose in 1892 on a bluff in the Mt. Adams neighborhood overlooking Cincinnati. The endeavor expanded as Maria hired talented potters, artists and chemists who helped invent the new shapes and designs of the burgeoning Arts and Crafts movement as well as striking new glazes. What began as artistic expression became one of the first major American businesses owned and run by a woman. As famous as the decorated Rookwood pieces are, I am actually drawn to the matte and geometric pieces that were produced at the beginning of the 20th century. The Rookwood Factory consisted of several building which housed kilns of various temperatures. 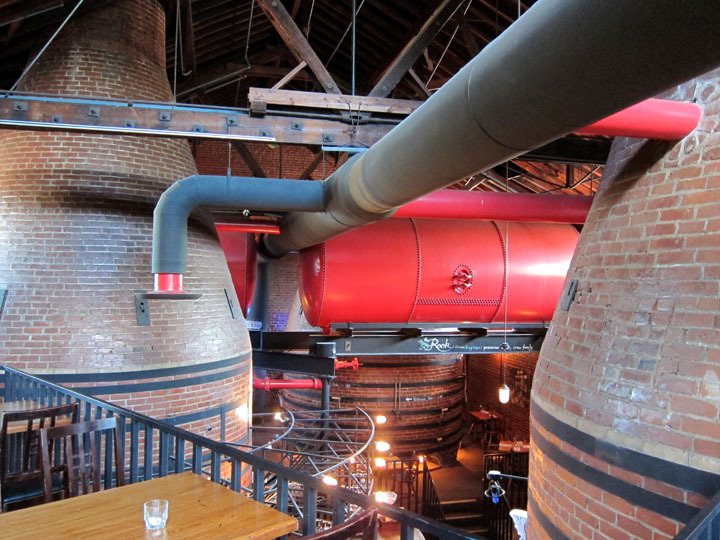 The three massive kilns which have been incorporate into the dining areas at The Rookwood Bar & Restaurant where the oil burning kilns and the hottest ones on-site. You can still see the red painted oil storage tanks in the rafters. Interior of the former Rookwood pottery factory, now a restaurant. The Factory closed in 1967 and was turned into a restaurant a few years later. The restaurant there today opened in 2007 with a modern menu and a clear appreciation for Rookwood history. Small ceramic elements have been incorporated into the clean, modern decor of the restaurant interior. 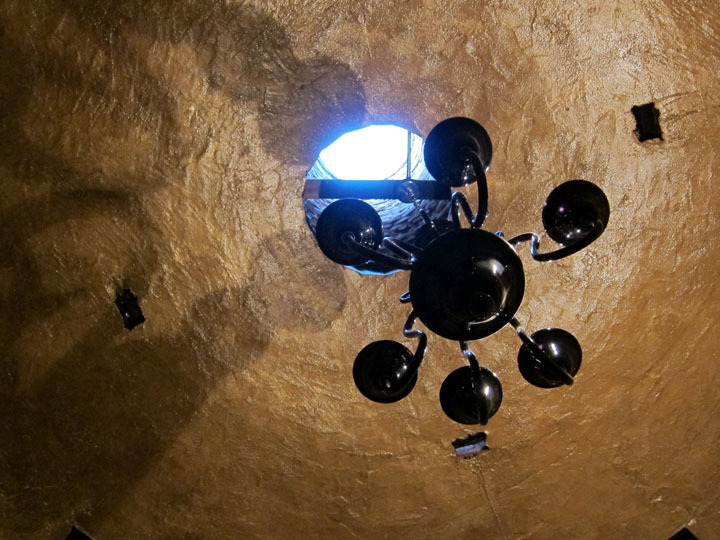 An elegant dining room in a former Rookwood pottery kiln. The two kilns have been turned into private, cozy dining rooms while the third adjacent to the bar has been made into a lounge space with over-stuffed pillows and a circular bench. A kiln dining room with a period pottery image on the wall. The kiln “rooms” vent directly to the sky. The open tops of the kilns are visible along the factory roof line. Exterior of the former Rookwood factory and a restaurant today. The space has definitely come a long way since its industrial beginnings! 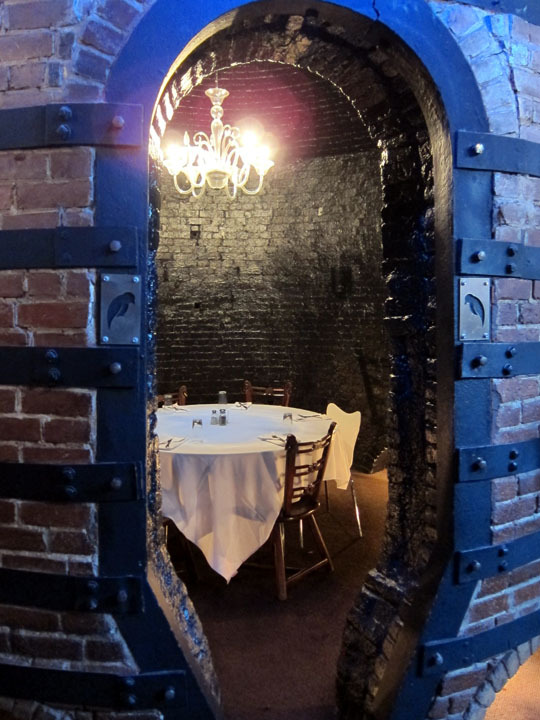 The restaurant is a creative way to keep a famous place open for the public to visit and enjoy. 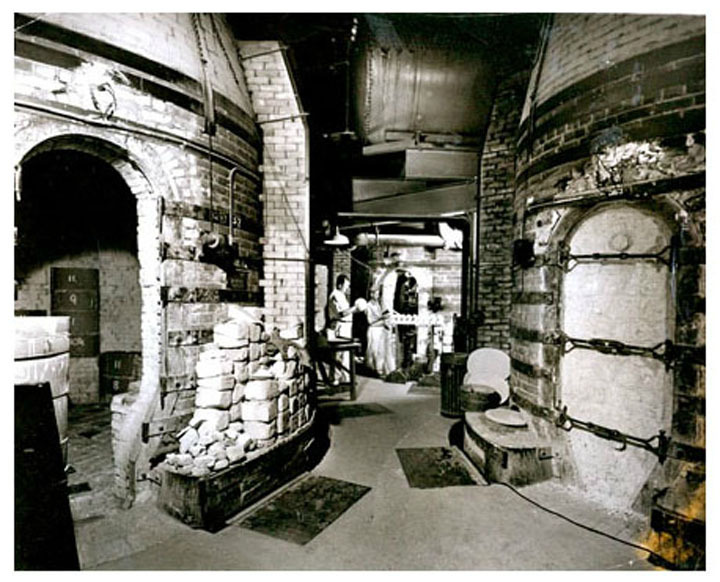 Historic photo of the Rookwood Pottery factory. Speaking of enjoying my visit, I of course had to stay for dinner to see if the food was as good as the pottery once produced here. The meal was tasty, but the desert was by far one of the best I have ever had! I am a bread pudding connoisseur and loved their version. The “bread” was a mix of dense pound-cake and poppy seed bread drizzled over with a caramel, whiskey sauce. The crust of the bread was perfectly browned with a excellent balance of crispiness and caramelized density. 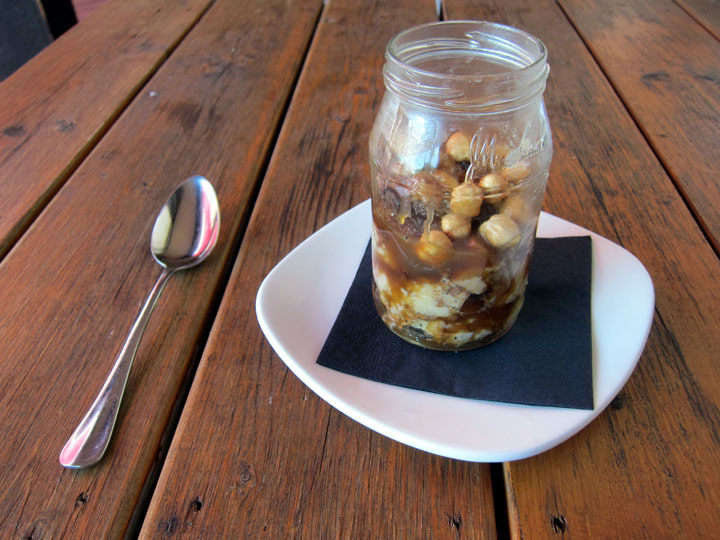 This gooey creation was topped with toasted hazelnuts and served in a quaint mason jar. So delicious! Eaten on the patio, this is probably the most delicious bread puddling I have ever have!